This blog post was written by Recovery Help Now’s, Greg Binns, LMFT. Who among those reading this would say this is their least favorite step? Admitting that we’re wrong can seem to go against so much hard-won advice from so many other walks of life. There are often seemingly good reasons to hide our mistakes rather than acknowledging them, much less announcing them. Who even takes the time to scrutinize their behavior for mistakes, moral transgressions, little injustices, unfairness, meanness, etc.? Well, anyone whose life and sanity depend on avoiding certain behaviors (e.g. drug or alcohol use, compulsive sexuality) could certainly benefit. But I don’t think step 10’s usefulness ends there. 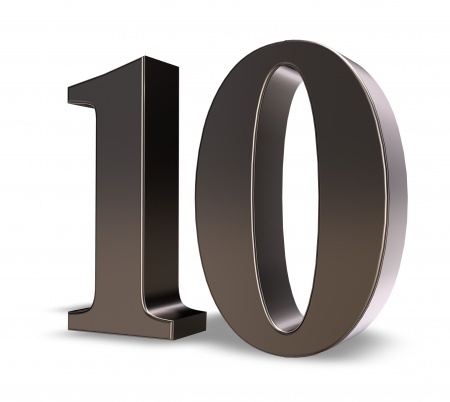 What I’ll address in this blog is why the 10th Step is an important component of recovery, and then in a broader sense, how this can be a useful practice to support a more fulfilling life. Step 10 marks the point in the 12 Steps where one’s attention turns toward developing a practice to ground one’s ongoing growth and recovery. Steps One through Nine had to do with acknowledging reality, asking for help, and clearing away wreckage. In Step 10, we’re given one component of a plan to keep our relationships clean, workable, and present-focused. Continuing to take a personal inventory can be seen as a practice of remembering that we live in a web of relationships, that how we treat people matters, both to them and to us. Life inside the cycle of addiction is a solitary life where others are a means to an end. But in actual life, other people are ends in themselves. The second part, promptly admitting to being wrong, accomplishes the very important task of keeping one’s mind and relationships in a good state of repair – healthy, flexible, unburdened by hidden agendas, guilt, justifications, and resentments. For the person in recovery, any festering bad feeling can, under the right (or wrong!) conditions, grow into a good reason to pick up or act out. Part of Step 10’s purpose is to continually nip that process in the bud. Not an addict, you say? Well, you’re a human, so dont’ stop reading yet. Relational repair is an important concept in couples work but also in relationships of all kinds. Whenever we get stung a little by someone else’s insensitive treatment of us, our impulse is to recoil and protect ourselves. Going forward, we may find ourselves subtly on guard with that person, perhaps even looking for a chance to get a little shot in. How does that affect the quality of your connection? Now what happens if that person acknowledges to us that they were wrong? How does that change the impulse to defend or be on guard? Turning it around the other way, think about the last time you did something to someone else that you felt was wrong. How did it affect your mind and heart? Where did you notice your attention going when you were with that person again? Did you find yourself worrying that they might bring it up? Did you invest some attention into composing rebuttals and justifications? Did you avoid certain topics of conversation? Perhaps you noticed a subtle, distracting feeling of anxiety? Admitting when we’re wrong is like keeping our credit card paid off – it helps to free our minds and hearts to be fully available to what’s happening now. The notion of taking an ongoing personal inventory is not a new idea. Benjamin Franklin and Aristotle come to mind as examples of figures who wrote about the value in developing virtues and addressing vices. But the developers of the 12 Steps of AA have astutely recognized the necessity of this type of practice for people in recovery, and have clarified the utility of ongoing relational repair for anyone who is interested in cultivating more trust and connectedness with others.